Staining of horse peripheral blood lymphocytes with Mouse anti Horse Pan B-Cells:RPE (MCA1899PE). Figure A. Alexa Flour 647 conjugated Mouse anti Canine CD21 (MCA1781A647) and FITC conjugated Mouse IgG1 isotype control (MCA928F). 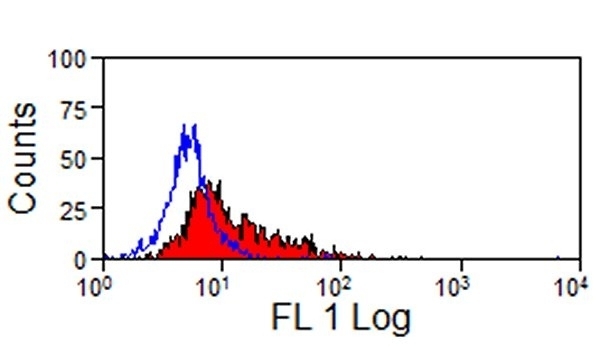 Figure B. Alexa Flour 647 conjugated Mouse anti Canine CD21 (MCA1781A647) and FITC conjugated Mouse anti Horse Pan B-cells (MCA1899F). All experiments performed on red cell lysed horse blood gated on lymphocytes in the presence of 10% horse serum. 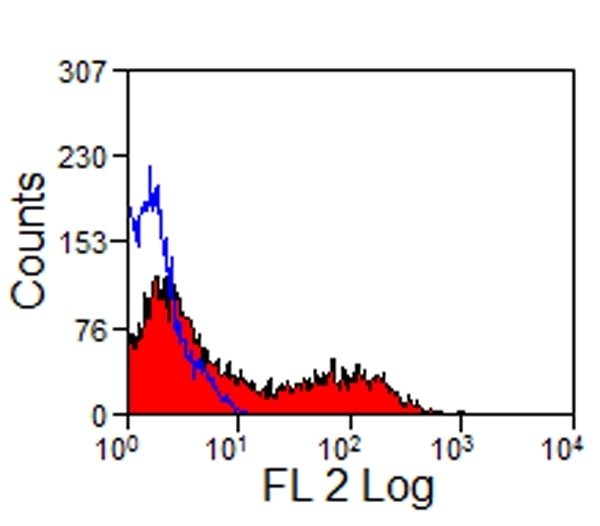 Data acquired on the ZE5™ Cell Analyzer. Mouse anti Horse Pan B-Cells, clone CVS36 is a monoclonal antibody directed against equine Ig light chains. Characterization studies demonstrated that clone CVS36 bound 100% of CD5-ve peripheral blood lymphocytes and recognized all equine B-cells (Lunn et al. 1998) As the antigen recognized by clone CVS36 appears to be present on the surface of all equine B-cells it is therefore is a reagent that can be used as a pan B-cell marker for domestic horses (Breathnach et al. 2005). Specific anti equine reagents have yet to be fully characterized for the typically recognized B-cell makers such as CD19, CD20, CD21, CD22 and CD79. 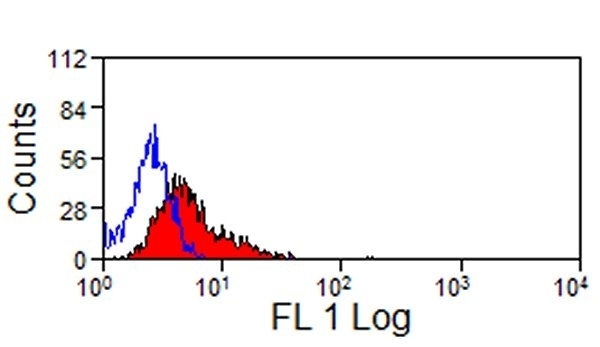 While testing has demonstrated the cross reactivity of some monoclonal B-cell markers raised against other species with equine B cells, such as the Mouse anti Human CD79a antibody, (clone HM57), an overview of which may be found in the report of the second equine leucocyte antigen workshop (Lunn et al. 1998). With specificity for equine Ig light chains, clone CVS36 may be used to detect all equine immunoglobulin classes and subclasses in ELISA applications (Lunn et al. 1998). Tomlinson, J.E. et al. (2018) Multispectral fluorescence-activated cell sorting of B and T cell subpopulations from equine peripheral blood. Vet Immunol Immunopathol. 199: 22-31.